SO happy to see this recipe! 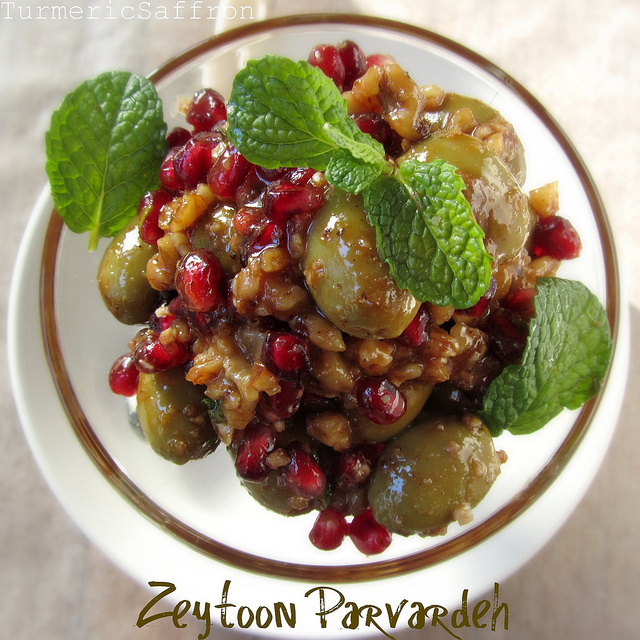 Last year, I tried this with cranberries and zereshk together, each one has its own "tangy persona". 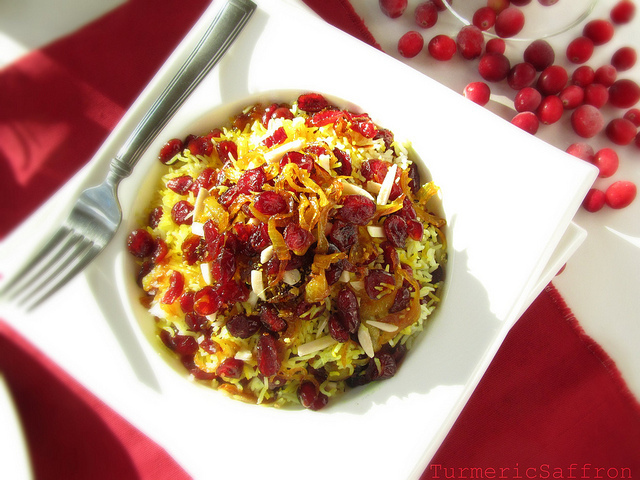 Very creative use of cranberries-- and gorgeous too! It looks like jewelry on rice. Very pretty and I know it is delicious as well. I am making dish for my side dish Thanksgiving. Thank you Azita! One thing that I find fascinating in Iranian cuisine is all the variety of rices! This one looks amazing and sounds so tasty. I was so happy to see that you are thinking along the same lines as I was! 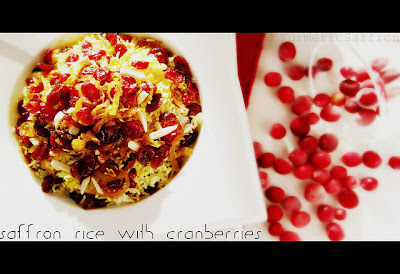 I love cranberries and wanted to cook them with rice this year as well! your rice is confirming that I need to do so soon! 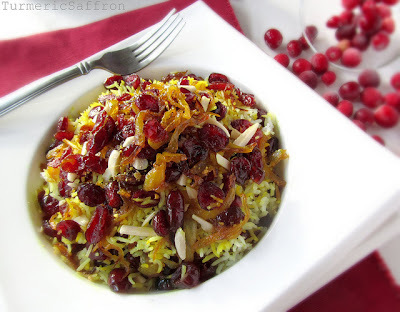 OMG, I never thought about using cranberries instead of zereshk. You are so smart. I love your recipes.